From left, Joshua Baxter, Mike Linn and Earl Hossler stand outside Baxter's home on Thursday. The three are getting ready for a Toys for Tots toy drive at Baxter's residence, 1406 Hickory, on Saturday from 5 p.m. until 7 p.m. 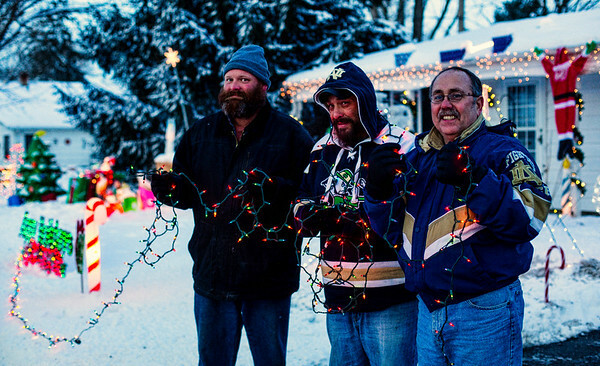 The three go all out for Christmas, decorating their homes with thousands of lights.